Also check out my Plugins page for Adobe Illustrator automation. I work for the Washington Post newspaper as a cartographer creating maps for daily publication. The two popular desktop graphics applications for mapping are Macromedia Freehand and Adode Illustrator. With Adobe's purchase of the former last year (primarily for Macromedia's Flash interactive content platform) Freehand has been end-of-lifed in favor of Illustrator. Perhaps some of Freehand's more powerful features will make it into CS4, but until then I've hacked together some scripts to ease the transition. I also link to a few other useful scripts and plugins for cartographers below. How did you hear about my scripts? What scripts are most useful? Over 25 new featues, updates, and bug fixes. When downloading the script, right click on the "download" link above and choose "Save as..."
Then follow the installation steps below. Beta demonstration of three of John's scripts for registering point type without moving the text. Can be expanded to any script. Install both the JSX and the SWF into your Scripts folder and run the JSX. 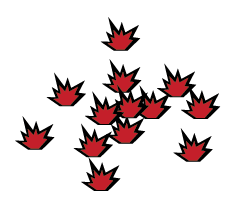 It will launch the SWF as a panel / palette in Illustrator (with the buttons as shown at left). Click one of the buttons, the correct script runs. Mac support beta. Windows support alpha. Feedback appreciated! Email me at nathaniel@kelsocartography.com. Plugins are a 4th type of extended feature set but are platform specific (Mac/PC) and sometimes only work for a specific version of Illustrator. They are installed in your Illustrator > Plugins folder. Download (100k) View blog post. 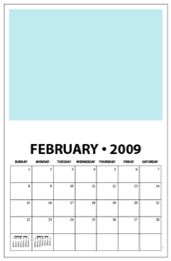 Last updated 17 Feb. 2009. Choose "Save as..." when right clicking on the "download" link above. Follow the installation steps above. 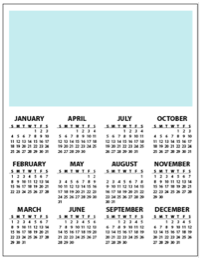 Create five types of calendars in Illustrator including page, wall, tabloid, compact, and mini business card sizes. Multilingual support is provided for English, Spanish, French, German, Chinese, and Japanese. Text is live and includes character styles and tab stops for customization. 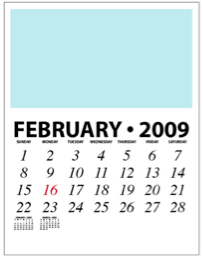 Date box grid, and art placeholders are included on some templates. 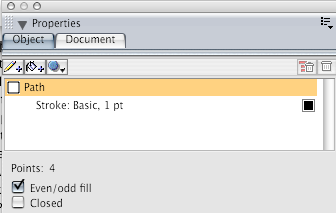 Tooltips help explain the options and the script will automatically create a document if one is not open. 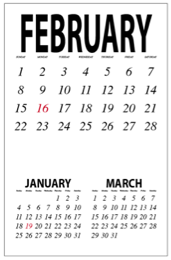 Over 25 new features, updates, and bug fixes in version 5. Screenshots and native Illustrator template files included at the blog post. Imitates the functionality found in Freehand's Find & Replace by Path shape panel. 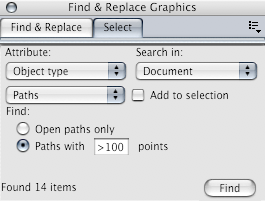 Move your "replace" path object to the top of the stacking order (Object > Arrange > Bring to Front). Select all the "find" objects. 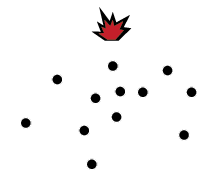 The topmost object is copied to the location of the other selected objects. There are two varients that either center the new object in the old object's position or scale it to "transform to fit original". They are really the same script with a toggled flag setting. 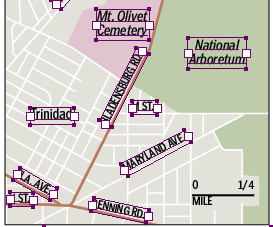 This script is especially useful to turn generic path objects (say from the GIS) into proper Illustrator "Symbols" or to swap out one set of generic path objects for another. This script has been updated to version 2 (below). Version 1 is still available and available. 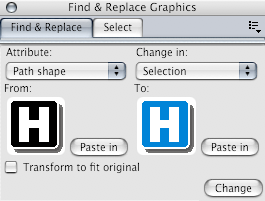 Find&ReplaceGraphics is based on John's Copy To Multiple Objects. Illustrator is now able to import Freehand files but it does so by putting the imported text into annoying text boxes that do not auto expand to fit new content. This script works on horizontal and rotated text boxes turning them into point type. The script also works with type on a path. The script ignores non-text objects in the selection (you can "select all" and run the script without problem). Make Area Type does the reverse. Version 3 available below. Original point type script here. Useful for selecting sliver park or water polygons and generalizing them out of existance. 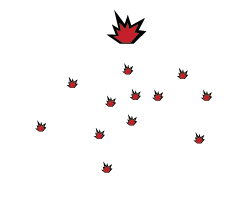 If you want MORE than X points do the selection to that number and then invert the selection. Includes an exhaustive crosslisting to additional scripts for Illustrator. Will close all filled paths if no selection or just the selected paths. A dialog reports how many were modified. Useful if the GIS does not close the polygons and/or you want to have an inset stroke in Illustrator (which requires closed paths). Useful for switching the arrowhead location on lines.